OMG Posters! » Archive Moon Editions Presents "Moon Toy Co.", Open Today! - OMG Posters! Moon Editions Presents “Moon Toy Co.”, Open Today! The dudes at Moon Editions have been tirelessly working behind the scenes on a ton of new projects, including this launch of “Moon Toy Co.”. 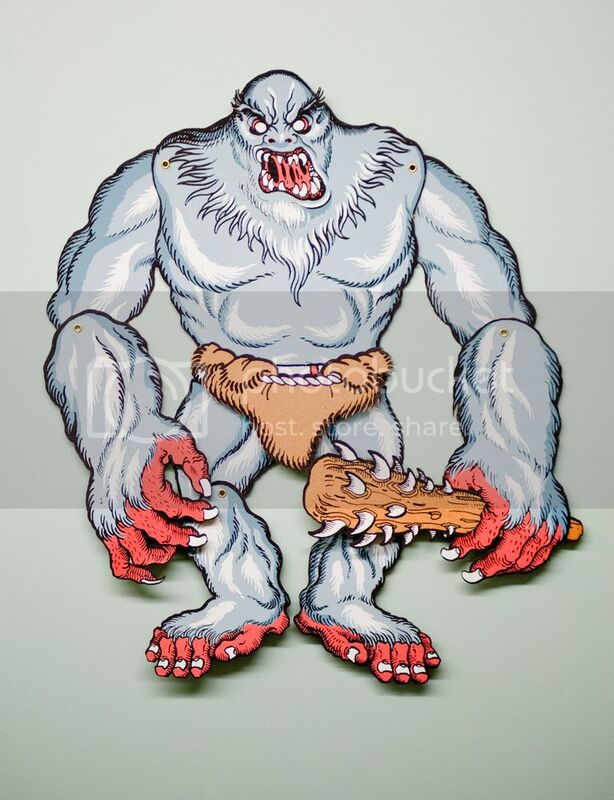 To start, they have an AMAZING screenprinted, jointed Krampus figure by Florian Bertmer and “The Abominable Snowman” by Lango. These are limited to 75 and cost $50 each. 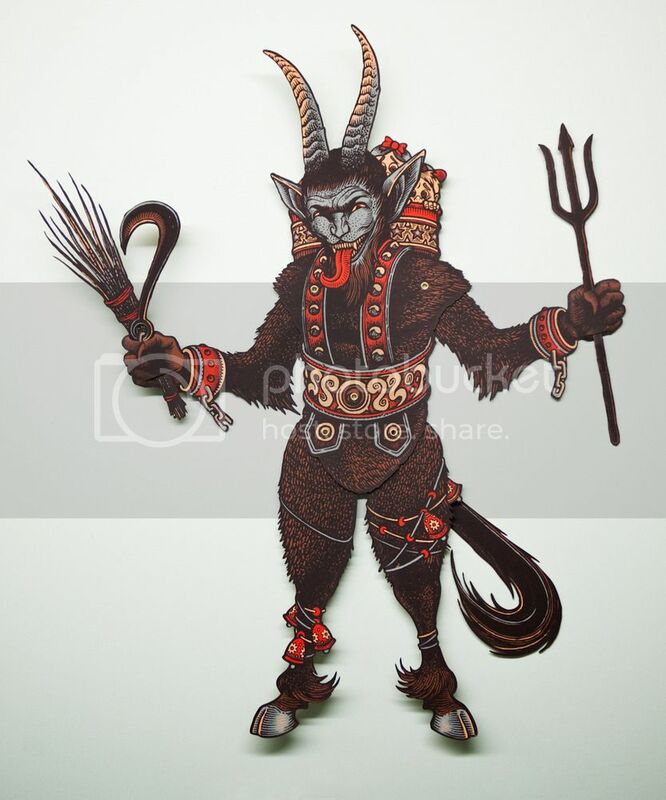 I am SO excited about the Krampus. Visit Moon Toy Co.
Juangus.. I think you know what’s more important. These are awesome, haha. Love the Krampus Florian never ceases to amaze. Great idea and I love that Krampus character. It reminds me a little of old Russian fairy tales I grew up with. I’m just not sure how I’d want to display it. Tacking it on the wall would make it feel like a leftover Halloween piece and framing it would defeat the fun of the articulation. Great looking nonetheless. Kon Def, shadow box it! I wish Krampus was also a regular print edition. Not sure about collecting a jointed paper figure, but I do love it.